BME offers three Expert Editing Packages that bring together key components to move your authorship forward. You’ve built a solid outline and molded your ideas into chapters. Problem is, you’re so close to your material, you can’t tell if your manuscript has hit its intended mark. That’s when it’s wise to request this “big picture” Manuscript Review package. BME will read your manuscript, analyze its outline and content, and assess how well the chapters you’ve written meet your objectives (as stated in your Big-Picture Blueprint for Planning Your Book). You’ll receive this Manuscript Review in the form of a report filled with suggestions or comments right on the manuscript itself. You’ll be instructed to make specific structural/strategic changes before your book is deemed ready for the Content/Copyediting phase. What’s the benefit to requesting a Manuscript Review? 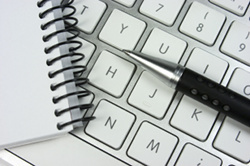 You’ll streamline and shorten the Content/Copy Editing process that follows. (Less time = less money) More important, it ensures you’re creating an even more strongly written manuscript—the essence of BME’s editorial service. Your Manuscript Review Report with suggestions for changes in structure and substance. This will take your manuscript to the next level quickly. Download the Planning Blueprint, complete it, and email it to editor@BarbaraMcNichol.com. Congratulations! You’ve researched and drafted your ideas, then put them into a manuscript to influence people in your target market. From there, your book becomes a cornerstone—what drives your reputation and credibility among those who are important to you. Finalized the number and sequencing of your chapters. Included all elements required to meet your stated objectives. Re-evaluated all content for its value to the whole manuscript. As a result of this extensive edit, you’ll have a professionally polished book in a word processing document that’s ready for the design/production phase. Initial “deep massage” edit loaded with questions and suggestions. Second review incorporating your changes/additions after you respond to the first review. Final proofread to catch any lingering language and format glitches. You’ll receive a complimentary 3-page Sample Edit of your manuscript plus an Editing Plan. The Sample Edit provides Before/After edits of your manuscript so you can preview the results you can expect. The Editing Plan spells out a project fee, timeline, and payment policy. Completing your Planner gets the process rolling. Download the Planning Blueprint, complete it, and email it to editor@BarbaraMcNichol.com. Before you finish writing your manuscript, you might first want to “sell” your concept to agents/publishers. A persuasive book proposal can communicate your ideas, experience, and strategies for your nonfiction book. Provide a template structure for your proposal (Overview, About the Author, Marketing/Publicity, Competitive Books, Chapter Summaries). Edit all elements you’ve written to produce a powerful, marketing-focused Book Proposal. Edit one to three Sample Chapters to include in your Book Proposal.